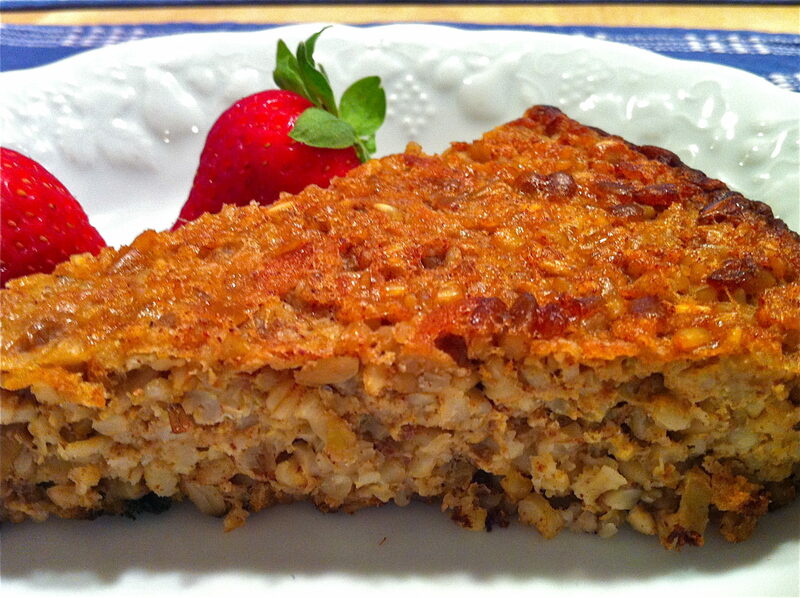 New version of baked oatmeal with steel cut oats, coming soon! Through The Fountain Avenue Facebook page, I often share quick meal ideas, tips or recipes from other kitchens that look interesting to me for one reason or another. This post is a recap of a handful of the great finds from the past week, just in case you missed them. The photo directly above is a clever idea that Bundles of Blossoms came up with to keep flies out of your drinks this summer. 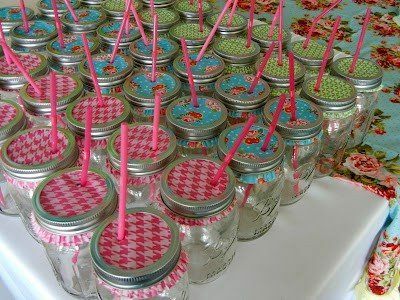 Don’t you just love how something as old-school as a Mason jar can be so whimsical and just plain cool? 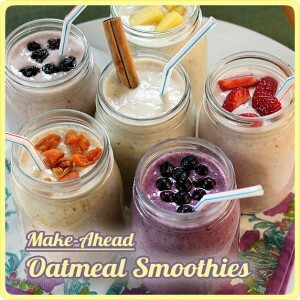 While we are on the Mason jar subject, the wonderful GroO New York alerted me to this LINK which will show you a fun way to prepare delicious, make-ahead, breakfast smoothies. 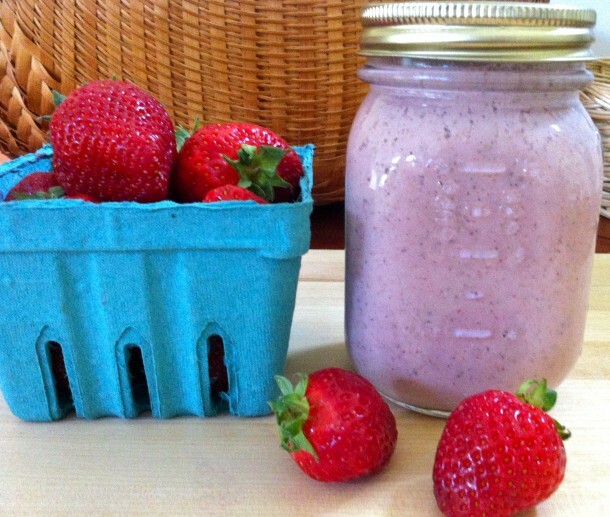 I just made my own version (pictured above), a strawberry-vanilla-pecan oatmeal smoothie, on which I will report in the coming days. A second version using mango is already brewing in my head! Speaking of oatmeal, this past week, I made quite a few batches of baked oatmeal. I will soon be sharing a new, seasonal variety of my classic Overnight Apple Cinnamon Baked Oatmeal as well as a new version using steel cut oats. For anyone who lives in Lancaster, let me know if you remember the old Fred and Mary’s coffee shop on Lemon Street. Judy Carson was legendary for her baked oatmeal and the recipe was never passed along. I have long tried to replicate it and have finally gotten close. So, lots of good things to come in the oatmeal department! The the next picture, along with simple directions, is something else I want to try when local blueberries are ripe. Baking Bad had this crafty idea and it looks like something the kids and I would all enjoy. 2 cups Dannon Oikos greek yogurt (blue cup) honey flavor and one carton fresh blueberries. Stick a berry with a toothpick and dip/swirl in the yogurt cup and use a second tooth pick to push it off onto a cookie sheet. Do all of them and place in the freezer. After an hour you can pop them off the cookie sheet and into a plastic baggie. A few nights ago, amidst a packed after-school schedule, I threw together this egg tortilla dinner. My husband was out of town and as the boys and I sat down at the table, my younger son asked why I didn’t take a picture…which made me laugh! He had already snuck a few bites and said that I really should put this “recipe” on my website. To humor him, I grabbed my phone and took a quick shot before biting in. I mention this, predominantly because it is an example of how a “fast food” dinner can be home-cooked and really delicious. This was literally what I had on hand and it got us around the dinner table for a few delightful minutes. There is no recipe, per se. 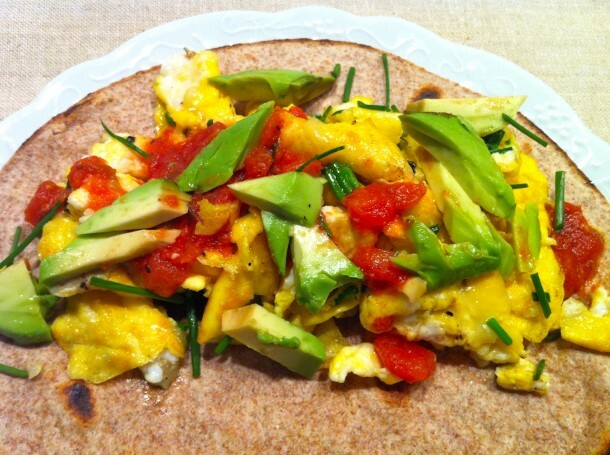 The trick here is to toast the whole wheat tortilla in the skillet before scrambling the eggs. I make them crisp so they fold over instead of rolling. The tortilla will sort of crack in the middle as you try to fold it. You could add black beans and any veggies that you like, or use a base of leftover chicken, turkey or tuna. If you can find the 100% wheat tortillas–or even the sprouted corn variety–you will eliminate all the preservatives that are in many tortillas.Typically, this type will be in the freezer section. I think I will make this even when not pressed for time! And because I love good salads, here is a winner from Sumptuous Spoonfuls. It’s an Apricot Chicken Salad on Wild Greens with Blue Cheese, Cinnamon Pecans and a Honey Lemon Ginger White Wine Vinaigrette. Doesn’t it look amazing? Ann you are such a dear! 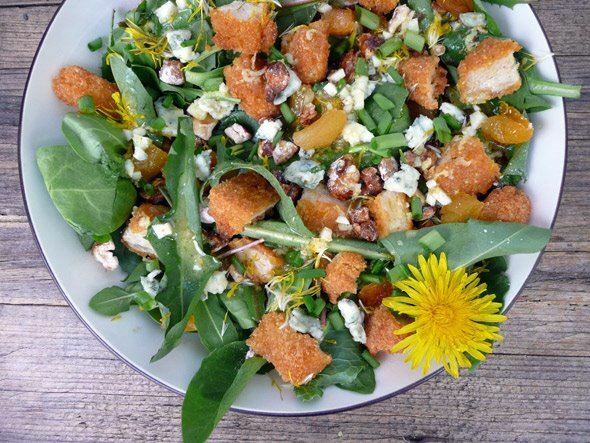 Thank you for featuring my salad 🙂 … I think your son is right … your quick weeknight meal looks fabulous. SO much better than fast food or that pre-packaged junk many people depend on for quick weeknight meals. Thank you, Ann! I’m sure you can appreciate the comment about the photo: ) I can’t wait to make your newest creation…it looks fabulous!